Some people eat at halftime, some grab a new beer, hit the bathroom…not me. I head out into the woods and see what I can find. This past Sunday I was down in Ridgefield at my friend Craig’s on Hickory Lane watching the NCAA Basketball games. At halftime of the Tennessee vs. Michigan State game I remembered Craig had mentioned finding a granite marker in the woods behind his house. And so it was off to the woods! as soon as the buzzer sounded. I was not disappointed. 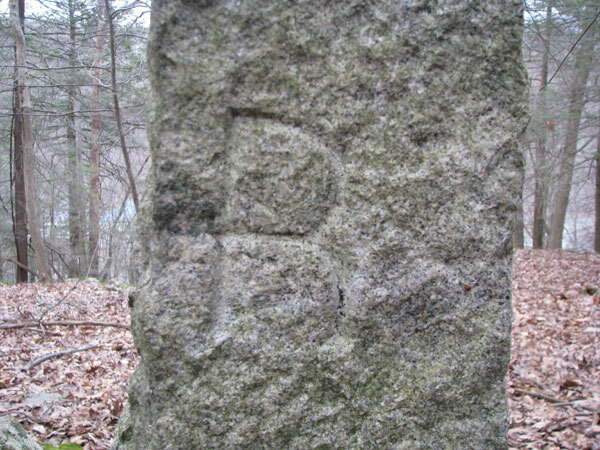 The marker was there and it had a very interesting flaw…the person who carved the R’s must have been a local because he almost carved a B and not an R on the Ridgefield side of the marker. After all that is the Branchville side of town. On the Redding side the R is clearly an R.
On the Ridgefield side it’s a lot closer to a B. See the photo below. 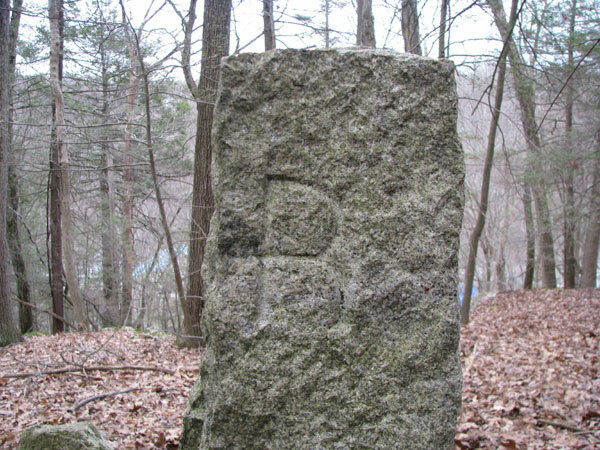 These boundary markers are more common than you think in Redding and Ridgefield. 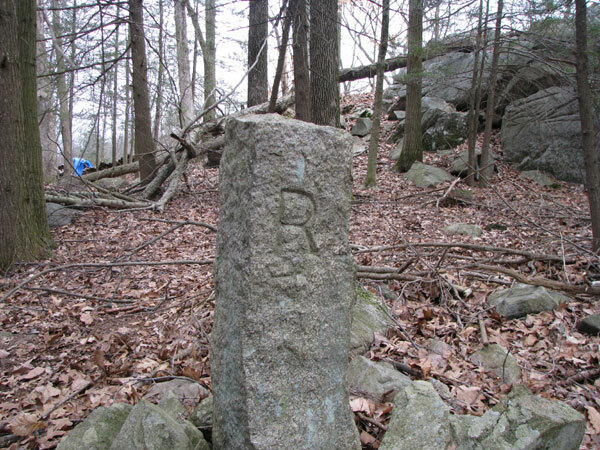 Down at the corner of Mountain Road & Peaceable Street there is a boundary marker with a R, R, W. The boundary of Redding, Ridgefield and Wilton. 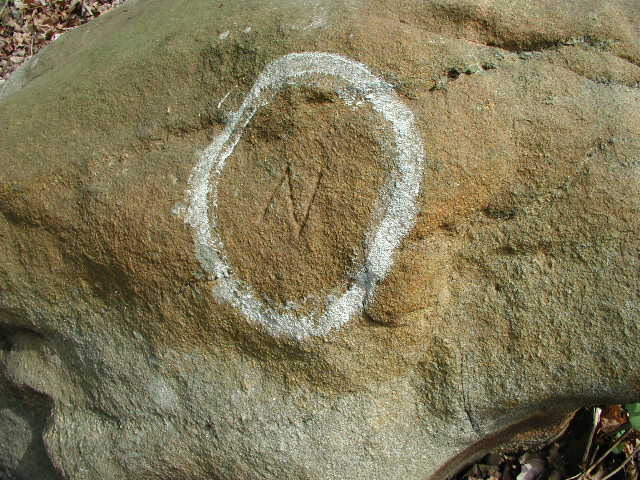 Off of Old Mill Road there is a very old boundary rock marked with N, R, F. The boundary of Norwalk (Wilton), Ridgefield (Redding) and Fairfield (Weston). 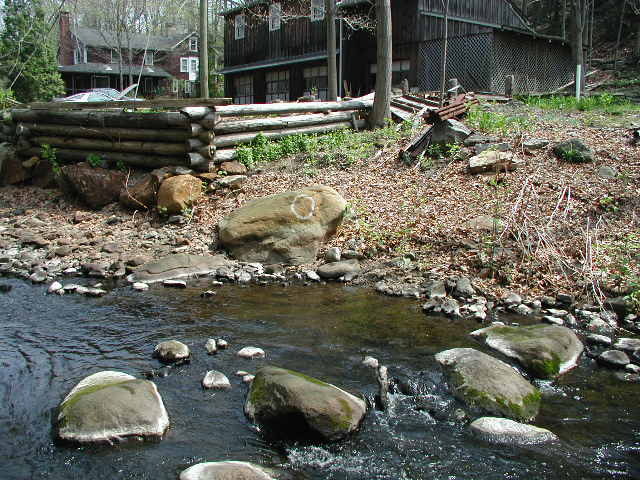 For more on Branchville and a little about the mining industry in the area. Visit the History of Redding’s Branchville pages.